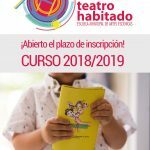 Open the enrollment period to Teatro Habitado 2018/2019. First final samples of Teatro Habitado 2017/2018. THREE ABSOLUTE RELEASES IN THE UNIFESTIVAL. UN PASEO POR LA MEMORIA -Calling-. PRESENTATION OF THE IMAGE OF EMERGENTS 2018. New edition of the UNIFESTIVAL. FARSANTES, an action of Inhabited Theater to celebrate World Theater Day. 450 proposals aspire to Emergentes 2018. Maireneros of the Year Award for EMERGENTES. 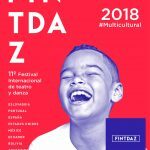 Teatro Habitado will participate in ART-DTTÓ. Young Talent Seal for EMERGENTES. Emergentes receives the Cultura Viva Award. 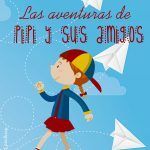 New course of Children’s Theater. 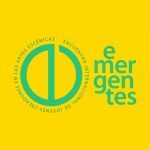 EMERGENTES 2018 Open for submissions! MOLINA ROCÍO WILL BE HOMENAJEADA IN EMERGENTES. 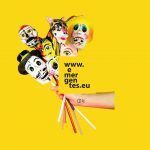 One month for the sixth edition of EMERGENTES! Record call for EMERGENTES 2017.